Alfred Watkins (1855-1935) had always assumed that ley lines were simply trackways, part of the prehistoric British landscape, just like the later Roman road system. After the failure of archaeologists to accept his hypothesis, though, the idea was taken up enthusiastically by those with an interest in the occult. It was not long before it was being proposed that ley lines follow lines of spiritual or cosmic energy in the Earth. Guy Underwood’s experiments with dowsing on known sites and leys suggested ways of identifying new lines. In the 1960s, they became linked with UFO sightings, with suggestions that these followed lines of earth forces as a navigational aid; perhaps, some argued, they were an artificial system established in the remote past by the occupants of UFOs. The connection between leys, lines of unknown earth energies and UFOs was initially promoted by John Anthony Dunkin (Tony) Wedd (1919-1980). He had read the English translation of Aimé Michel’s (1919-1992) Lueurs sur les Soucoupes Volantes (M.A.M.E., 1954). 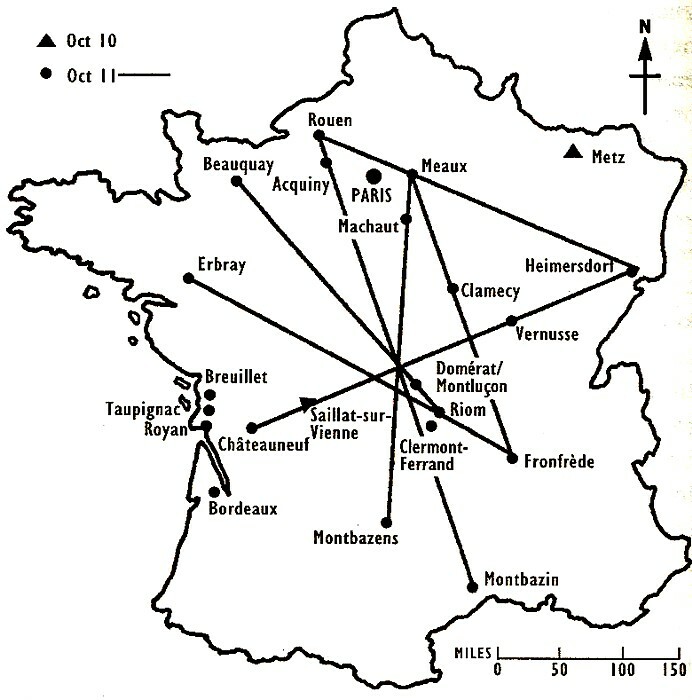 In this, Michel presented an hypothesis that French UFO landing (or near-landing) sites recorded during the 1954 flap fell into a grid of straight lines, which he called ‘orthotenies’. There is no evidence that Michel was aware of Watkins’s ley lines, so Wedd seems to have been the first to spot a potential connection. In Buck Nelson’s (1894-1982) My trip to Mars (1956), the author, who claimed to have been abducted by UFOs, said that he had been shown how UFOs navigate by following magnetic currents in the earth. Wedd concluded that Michel’s orthotenies and Nelson’s magnetic currents were related to Watkins’s leys. Wedd’s 1961 booklet Skyways and Landmarks first put forward the idea that the occupants of UFOs used leys for navigation. Like so many in the UFO field at that time, Wedd formed an organisation, The Star Fellowship, which hoped to make peaceful contact with UFO occupants. The psychic Mary Long, a member of the Fellowship, began to talk about lines of force and nodal points, encouraging other members to set about searching for leys. In 1962, with the encouragement of Tony Wedd, the Ley Hunter’s Club was established. The club produces a house journal, The Ley Hunter, and now has a web presence. It acts as a type of clearing-house for new discoveries and as a resource to assist those hoping to undertake new (always confirmatory) fieldwork. In 1969, ley lines were taken up by John Michell (1933-2009), who discussed them within the context of geomancy in his seminal book The View Over Atlantis (1969). He proposed a connection with Chinese ‘dragon paths’, part of a system of geomantic beliefs now better known in the West as Feng Shui. By 1974, ley lines and geomancy, plus other esoteric subjects having to do with the Earth, had been collected under the umbrella term of Earth Mysteries. The late 1960s and early 1970s were a time of enormous and rapid cultural change and the spiritual eclecticism that developed was a small part of a much more fundamental shift away from a primarily dominant optimistic materialism to a more pessimistic, anti-Enlightenment world view. Leys have attracted attention not just from New Agers but also from the general public, many of whom have come to accept these invisible lines as real and as a result, they now form part of contemporary popular culture. 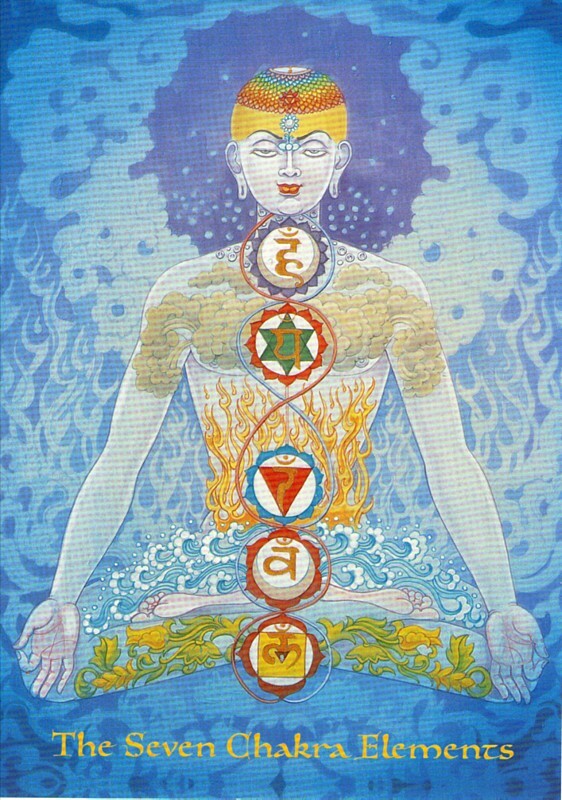 New Age practitioners believe that there are certain places on the earth where the special (but unnamed) energy that is otherwise unknown to science is concentrated, this lends spiritual significance to the place. Ancient peoples, more attuned to this energy than their degenerate, spiritually unaware and materialist descendants, built special monuments as markers for these powerful nodal points. Stonehenge (UK), Uluru (Ayers Rock, Australia), Nazca (Perú), the Great Pyramid (Egypt) and Sedona (Arizona, USA), among other places, are believed to be locations where this special energy is concentrated and where its effects can be observed. No evidence is ever presented for the existence of these ‘subtle energies’ unknown to science by the proponents of Earth Mysteries; instead, they rest on a subjective certainty based on uncontrolled observations by believers, demonstrated by techniques such as dowsing (more frequently with a pendulum over a map than with hazel twigs in the field). Some advocates claim that the alleged energy is connected to changes in magnetic fields, but this has never been measured using traditional scientific instruments such as magnetometers, used by archaeologists to detect subtle changes in background magnetism produced by concentrations of aligned magnetic minerals in buried ditches, pits and hearths. One would hope that by now at least one ley line would have been picked up by these sensitive instruments if leys are magnetic in nature; it is all the more ironic that after surveys on many ancient sites – especially those types considered markers of leys – not one single ley has ever been confirmed by its magnetic signature. Others insist that although the specific energy remains unknown, it will one day be discovered by science, once scientists have become attuned to it and learned to be less materialistic in outlook. Some believe that these energies are qualitatively different from those known to science and belong to a deeper reality that cannot be measured or quantified in physical terms. Once again, the ley lines=earth energies hypothesis is essentially a faith-based system, dependent on believers’ acceptance of pronouncements by the leaders, the psychics or ‘sensitives’ who are spiritually advanced enough to be aware of the energies. Even without the baggage of New Age ‘subtle energies’, there are serious grounds for doubting the existence of ley lines, not because scientists refuse to accept the existence of unknown energies – that is a question best left to physicists – but because the alignments do not stand up to critical scrutiny. In 1983, the archaeologists Tom Williamson and Liz Bellamy published the results of their investigation into ley lines in Ley Lines in Question. In the book, they demonstrated that not only was Watkins’s mathematics wrong and that a great many more of his alignments were due to chance than he had concluded, but also that many of his supposed alignments do not work, especially on the longer alignments. The explanation is simple: the method used by Watkins and all subsequent ley hunters has been to use maps and seek out alignments between points shown on these maps, but all map-making involves distorting the three-dimensional surface of the earth to fit it on to a two-dimensional sheet. With large scale maps covering small areas, this is not a major problem. However, even at the old Ordnance Survey one inch to the mile (1:63,360) or current 1:50,000 scales, the distortion produces measurable inaccuracies between the corners of the map. Moreover, tracing lines with even a sharp pencil point produces a line more than ten metres thick at these scales. At smaller scales, such as 1:250,000, which is used for very long-distance alignments, the problems become acute. Even allowing for the fact that the sites supposed to mark the alignments are not points but have areas (and in the case of a site like Avebury, these areas can be extensive), many of the markers simply do not fall on the ley lines unless the leys are made hundreds of metres wide. It is also difficult for an archaeologist to understand the logic behind the use of marker points of widely differing dates. Alfred Watkins had originally hypothesised the alignments to be of Neolithic date, as this was the date of the oldest sites on them. This is the reverse of the well established archaeological principle of the terminus post quem: an entity (with important exceptions, notably buildings) cannot be older than the youngest thing in it. Thus a layer producing a large quantity of Iron Age pottery and a coin of Victoria (reigned 1837-1901) can be no older than the date at which the coin was issued, irrespective of all the Iron Age pottery. Using this principle, leys containing crossroads established by early nineteenth-century surveyors enclosing formerly open field systems can be no older than the early nineteenth century. Yet we know the no-one at that time had the faintest notions of establishing a system of alignments that would cover the whole of Great Britain. Watkins’s solution – and that employed by all others since – was to assume that these more recent features replace ancient mark. The usual evidence cited is that of the medieval parish church. Using a passage in Bede’s (674-735) Historia Ecclesiastica Gentis Anglorum, where he quotes a letter from Pope Gregory the Great (c 549-604) to Saint Augustine of Canterbury (died 604, Archbishop of Canterbury 597-604) instructing the newly established English church to re-use pagan places of worship for new church buildings, an amazing leap of logic is made: these pre-christian sites are Neolithic temples. Yet not a single shred of archaeological evidence is ever adduced to support the assertion beyond noting that there is a megalithic standing stone in the churchyard at Rudston (Yorkshire) and that the church of the deserted village at Knowlton (Dorset) stands in a henge. Never mind that not one excavated church site has proved to be on top of a Neolithic (or prehistoric) sacred site, never mind that not one excavated church site has yielded unequivocal evidence for a pagan Anglo-Saxon sacred site, we are in the presence of the written word and the written word cannot be contradicted in the literalist world of the Bad Archaeologist. But what does Gregory say? He recommends a course of action to help Augustine establish a christian church in England. It does not say what actually happened. And this is the best evidence the ley hunters can find to indicate that their relatively modern marker points have a much greater antiquity. This is weak stuff! Ley lines, then, were a bad enough idea when Alfred Watkins first suggested that they were Neolithic trackways. In most cases, the sites that are supposed to mark them are not Neolithic (indeed, most are many thousands of years younger) and in some cases, they do not even lie on the supposed leys. This is why archaeologists do not accept their existence. However, their adoption by the New Age community and the ascription of spiritual, psychic or ufological meanings to them has taken them out of the realm of archaeology and orthodox science and has made them an article of faith. In doing so, they have been brought into mainstream popular culture in a form that Alfred Watkins would never have recognised. Like so many fringe ideas, they are easily refuted and can be consigned to the dustbin. Unfortunately, their influence has pervaded modern culture and it will take a serious effort to convince the general public that they do not exist, if that can be done at all. If you read my book “Ley Lines and Earth Energies” I think that you will take a different approach to the theory of ley lines – they do exist – I have put an immense amount of effort, and money, into researching this. You have to be prepared to learn how to use divining rods and walk some considerable distance in an area which is rich in megalithic structures to find this out for yourself. Unfortunately, there are so many people who criticize the idea without putting any effort into finding the truth. I read this guys website and marked the locations of the landmarks where his ‘dumbbell shaped ley line’ goes with Google Earth. They seem to be just randomly selected locations around Loch Tay in Scotland that he drew a line around, which anyone could do with anything (think zodiac constellations). The locations in his diagrams aren’t even in the correct location in relation to each other, so if replicated the shape would be quite different anyway. But I suppose the book was published before any bored sick person could just jump on Google Earth and mark it out accurately. You have to read the book in detail to find that the ancient sites are carefully placed. Ancient burial grounds, for instance, are situated above volcanic faults. It was with the help of Google Earth, incidentally, that I was able to formulate my theory that sacred sites were situated between geological anomalies, like extinct volcanoes and plugs. Take the three main streets of Edinburgh, for instance, placed between the volcanic plug of North Berwick Law and two others. (Use a Great Circle Mapper to find the other two for yourself). There are NINE major banks on that line/stream, with the HQ’s of the Church of Scotland and Society of Speculative Freemasons, apart from major insurance companies. There is also St. Andrew’s Square, with the all-seeing eye of the ancient Egyptians depicted as pedestrian paths lined up with no less than FIVE plugs, the energy passing through the statue of Lord Melville, the First Secretary of State for War and head of the Royal Bank of Scotland. These paths were built as recently as ten years ago. This powerful ley is still being used by some secret societies. Hitler and Himmler were very keen to obtain this knowledge for their own evil empire, but feel free to disagree with it, if you like. 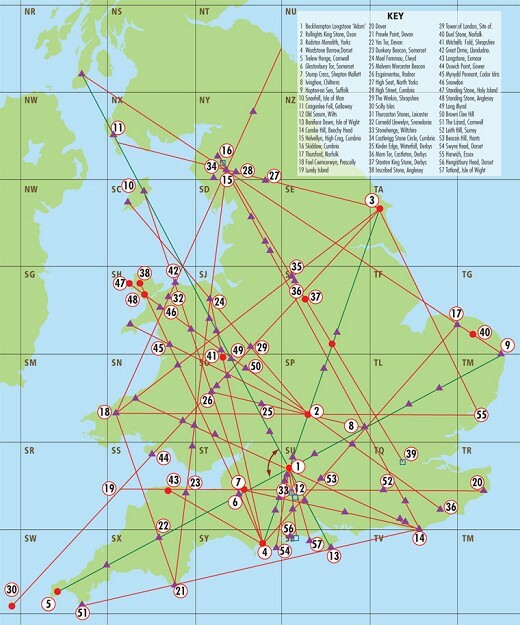 My latest book “Ley Lines of the UK and USA” show without doubt that ley lines do exist. The most powerful in the UK is from the resonant cavity of Fingal’s Cave on the volcanic island of Staffa which beats against the energies from the extinct volcano of Las Palmas de Gran Canaria to the south, with Iona abbey, the birthplace of Christianity in the UK exactly on that line. I show many of the most important sacred sites in the UK and USA carefully placed between two, and sometimes even three, of these powerful natural sources of natural energy. The Michael and Mary line, for instance, found by Paul Broadhurst and Hamish Miller has its energies coming from a volcano on the Azores, although they did not realize that until I pointed it out to Paul. Why are sceptics so rude, they can’t even argue with any courtesy? The thing is, David, that divining rods are a bunch of crap. Walking and actually looking at standing stones isn’t. Perhaps you should have invested your money in actual, non debunked, research equipment. Lily, have you tried to use divining rods, or better still, get someone to show you how to use them. It is an art, not a science, and our distant ancestors were adept at using them to pick up the energies from geological faults. They placed their standing stones above them to act like prisms and transmit this perfectly natural energy across country through their burial grounds. The divining rod is linked to the most sensitive computer in the world, the human brain.